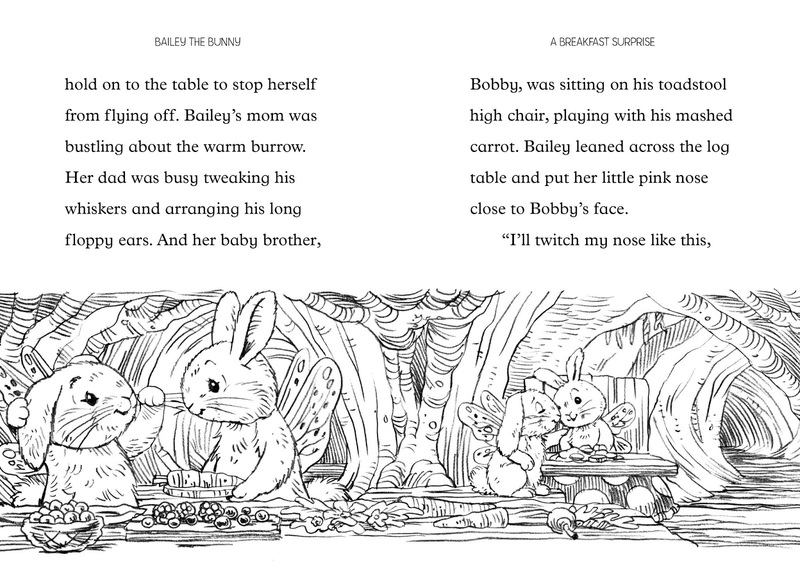 In this book we meet Bailey, a young Bud Bunny. Her job is to help the flower buds open for spring. However she gets a bad case of the hiccups during breakfast and can't help the flowers while hiccuping. How will she get rid of them? Meeting many other animals and taking their advice, she still keeps hiccuping. What will be the final trick to get rid of this annoyance? 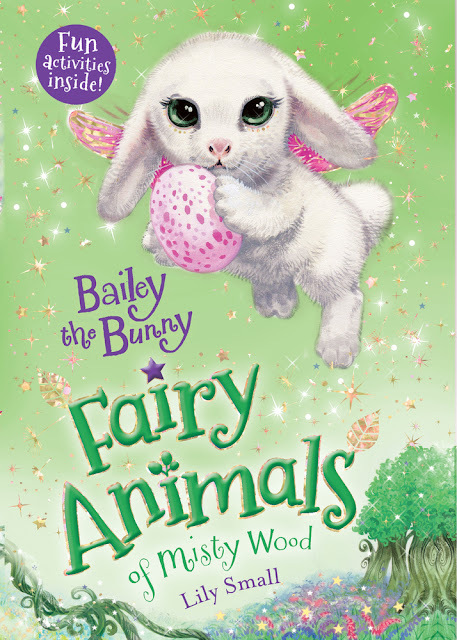 It is a fun book with a simple story. It is spring oriented and includes the Easter Bunny. 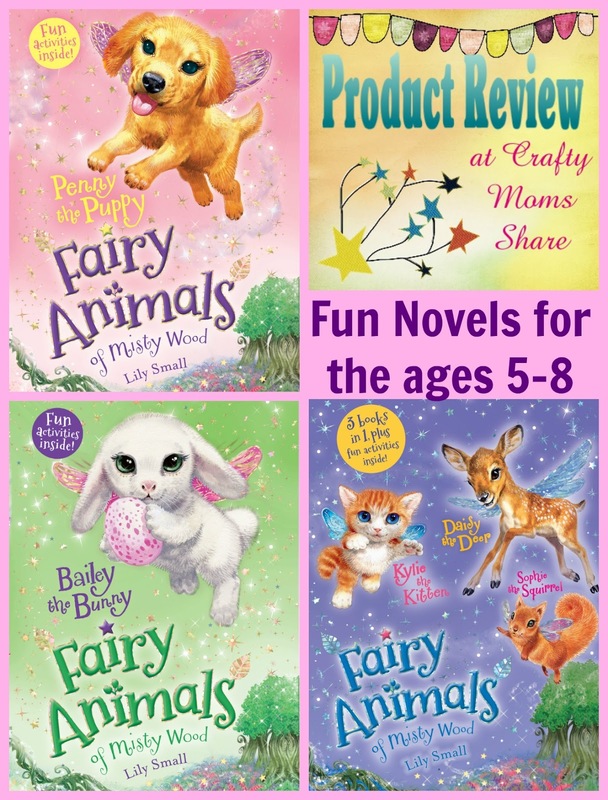 As all of the books in this series, it is recommended for ages 5 to 8. 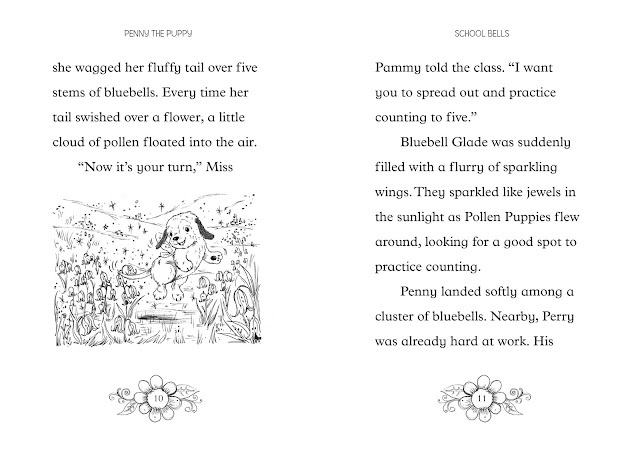 The pages have black and white illustrations and the words are easy to read. The story is cute and is the type that will make you say "Aaaaah." 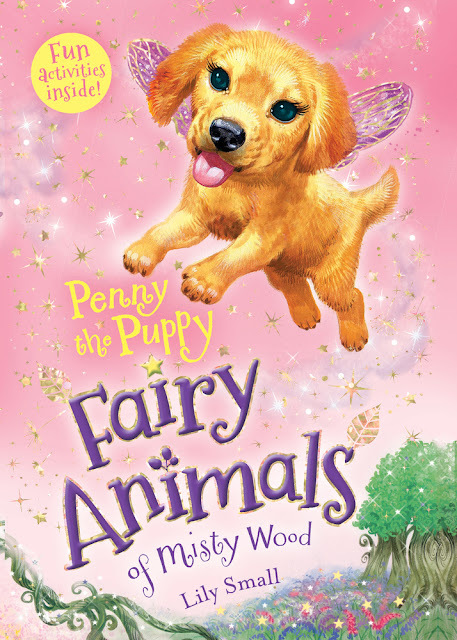 Our next book is Penny the Puppy. Penny is a Pollen Puppy. Pollen Puppies help spread the pollen, however they need to be careful to not spread too much at one time or the other animals will start sneezing. To do this they need to be able to count to five, but Penny keeps getting distracted and isn't able to count to five correctly. How will she learn to count? Again the story is cute and sweet. Penny makes friends and learns to master her issue with counting. The book features illustrations throughout which add to the cuteness. Our last book for the night is three books in one. It has three of the individual books in one hardcover book. 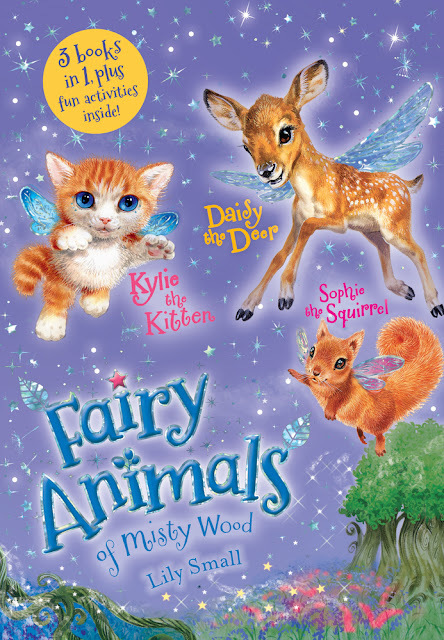 It is Kylie the Kitten, Daisy the Deer and Sophie the Squirrel 3 Book Bind-up. Each story is in the same fashion and just as cute. Kylie is off to camp where she is excited to make new friends but is afraid to swim. Daisy meets a hedgehog who is afraid to sleep. Daisy tries to help him. Sophie is going to perform a dance, but when she practices there are all sorts of problems. The stories are sweet and cute and have the black and white illustrations. All of these books also have activities at the end of them. The activities are mazes, spot the differences, connet the dots, word searches and more. They are such fun book and perfect for the fairy and animal loving young girls. I hope you will check them out!